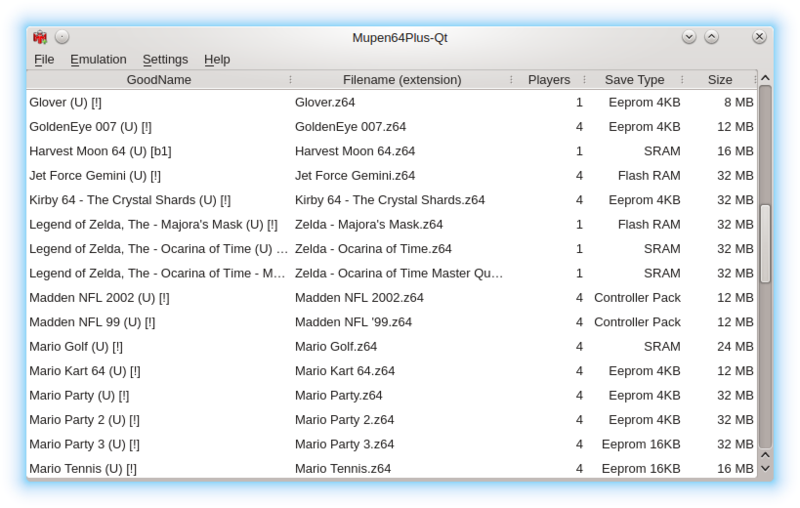 Mupen64Plus-Qt v1.12 is released. wxMupen64Plus is a basic cross-platform launcher. This was adapted from CEN64-Qt to work with Mupen64Plus. Update TheGamesDB scraper to use version two of their API. Older versions can no longer download game information with version one of their API disabled. This version will refresh your ROM collection and game information when it first starts. Add a "Super" image size.